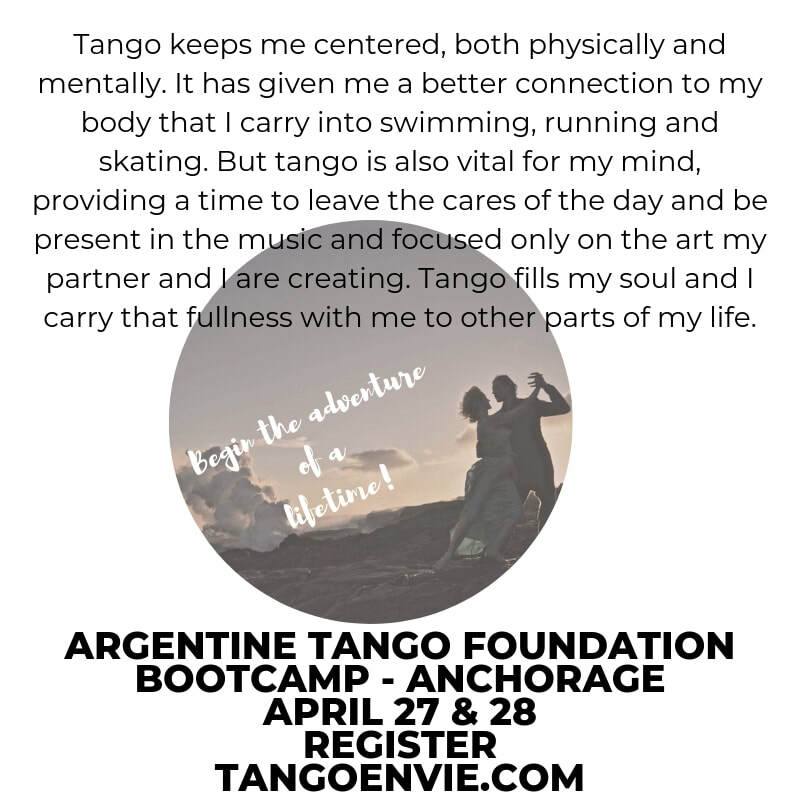 9 HOURS OF PROGRESSIVE TRAINING! Ready to get musical? 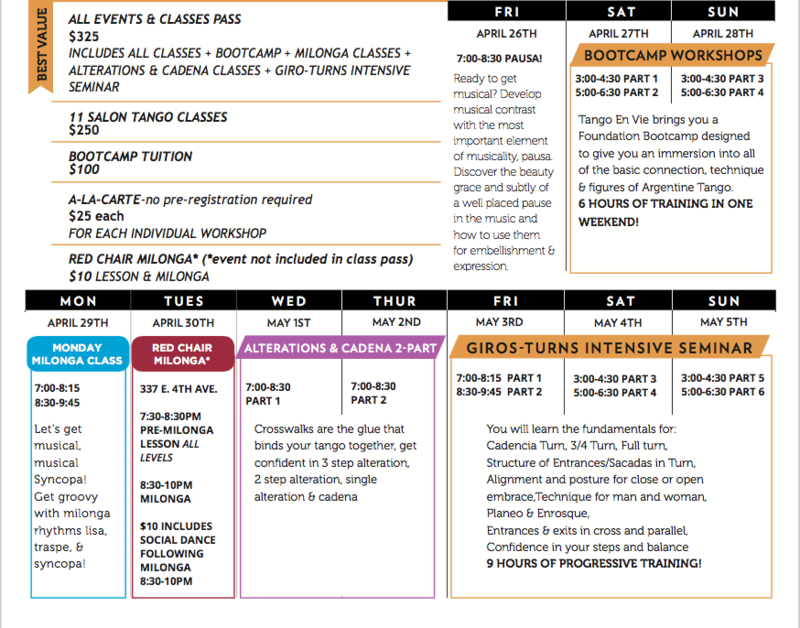 Develop musical contrast with the most important element of musicality, pausa. 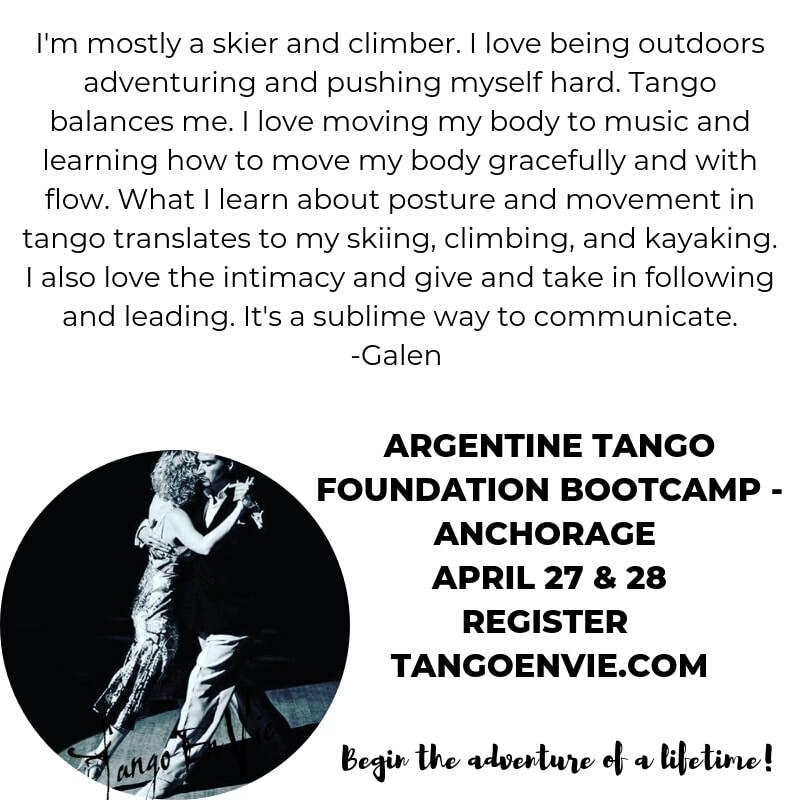 Discover the beauty grace and subtly of a well placed pause in the music and how to use them for embellishment and expression. 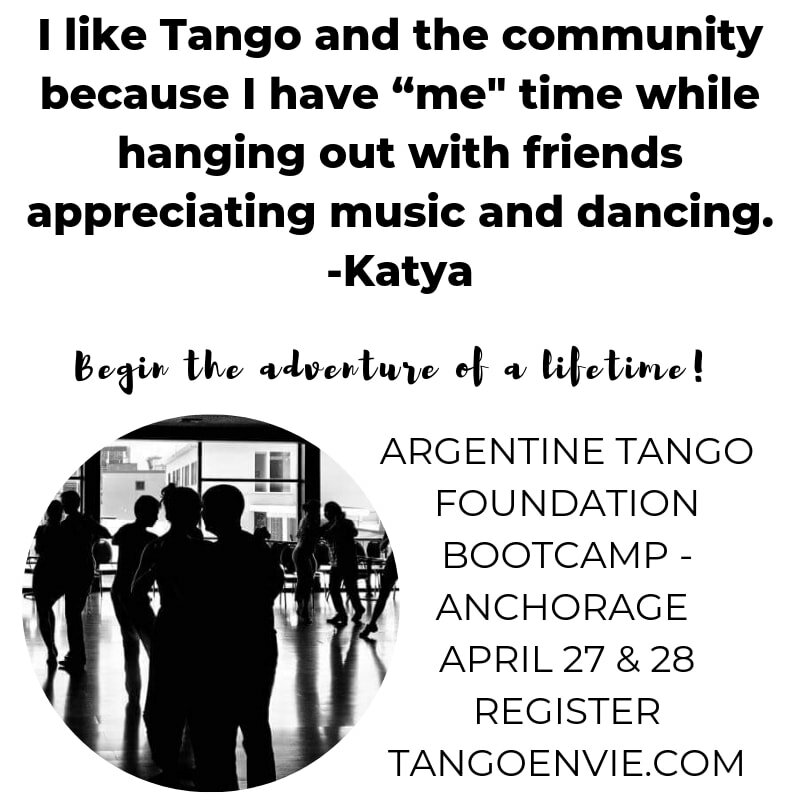 Let’s get musical, musical Syncopa! 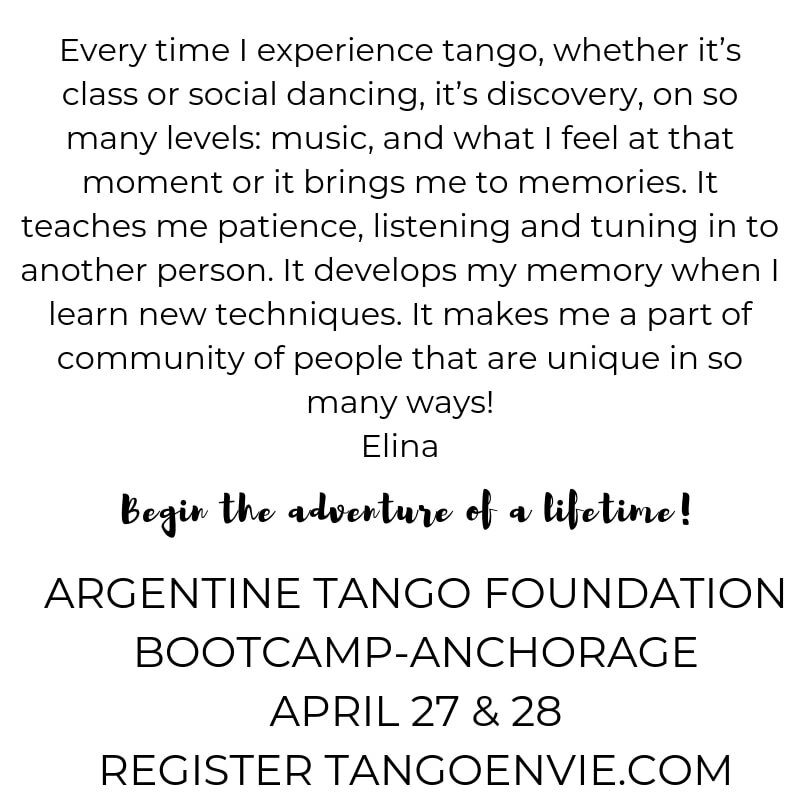 Get groovy with milonga rhythms lisa, traspe, & syncopa! 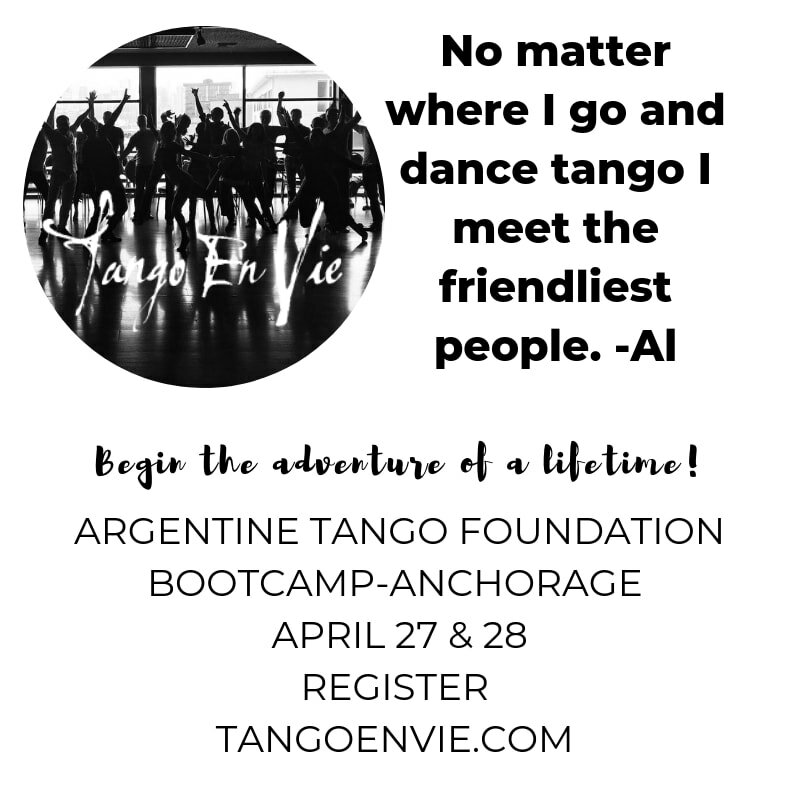 If you are new to tango in Anchorage you will be thrilled to learn that you have a awesome weekly social venue for Argentine Tango EVERY WEEK! 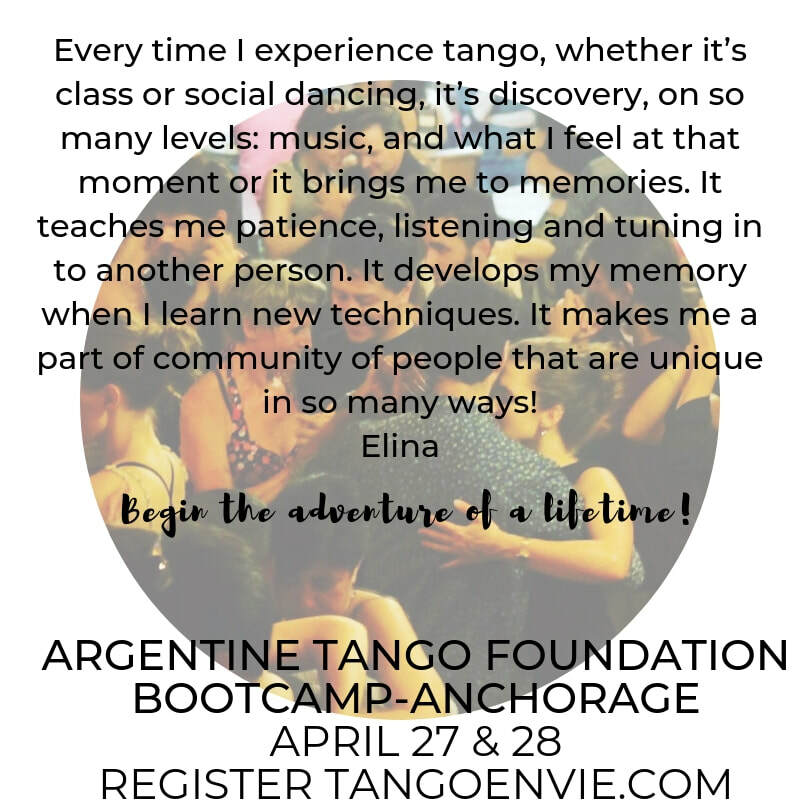 Join us in our cozy home studio with and discover the warm Tango community in Anchorage! 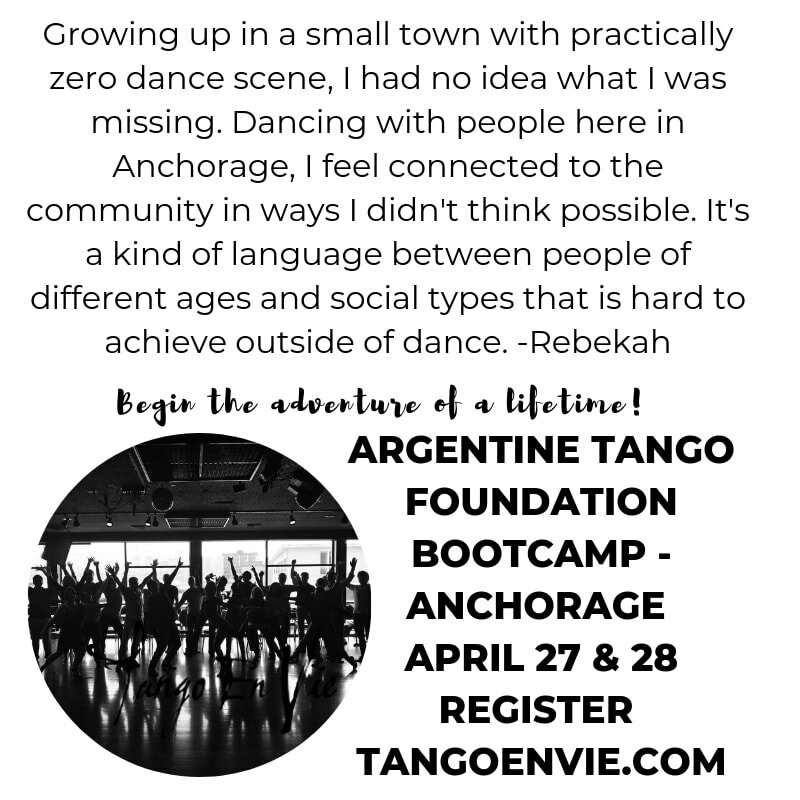 TESTIMONIALS FROM ALASKA DANCERS ON HOW TANGO HAS CHANGED THIER LIVES!